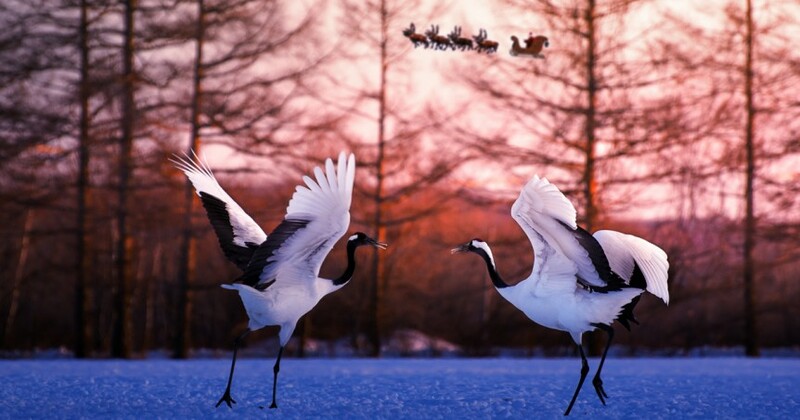 Two adult red-crowned cranes take flight as Santa Claus flies by in the the sky above them. 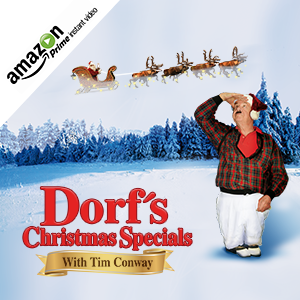 Santa flies through South Korea to deliver presents to all the good boys and girls of that country. South Korea celebrates Christmas with a great amount of cheer, many people dress as Santa and go caroling around their town. There is even a zoo in Yongin, South Korea that dress up their penguins as Santa and the penguins perform in a daily parade to spread Christmas cheer.